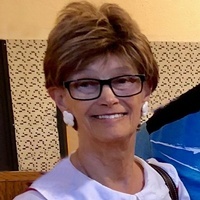 Barbara Geer of Middle River, MN, 67 years, 5 months and 20 days, passed away Wednesday February 6, 2019 at Sanford Broadway Medical Building, Fargo, ND with her loving family by her side. 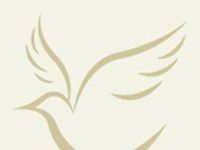 A Memorial “concert” will be held at the Middle River School Legacy Building on Saturday, February 16, 2019 at 2:00pm with Pastors Bob Dahlen and Ollie Urdahl officiating. Visitation will begin at noon with music beginning at 1:00pm. Food and fellowship will follow the service. Burial will be held at a later date as those who knew Barb well knew how much she disliked being cold!Visitation will be held on Friday February 15, 2019 from 5:00pm – 9:00pm with a 7:00pm service at the Middle River School Legacy Building. Barbara Ellen (Rustad) Geer was born August 17, 1951 at Fosston, MN, the daughter of Sherman and Lorraine (Covlin) Rustad. She grew up in rural McIntosh, MN on the family farm. It was there that she learned her amazing work ethic early in life. She was baptized at Trinity Lutheran Church, Rural McIntosh and later confirmed at Our Savior’s Lutheran Church, McIntosh. Barb graduated from McIntosh High School in 1969. She was one of six honor students in her class. While in school she was involved in many activities, but found her passion in music. She excelled in flute and piano which would shape the rest of her life. Following high school, Barb went to college at Moorhead State College in Moorhead, MN. She made it a point to remind us often that she graduated EARLY in 1972 with a B.A. in Instrumental Music with a flute performance emphasis, a B.A. in Vocal Music and a B.A. in Elementary and High School Music. Barb traveled to Tehran, Iran to complete her student teaching. She met Danny Geer when she moved to Middle River to teach music in 1972. They began dating and were married on August 10 of that year. To this union, three children were born. Sarah Mae was still born. Brianna Lee joined the family on November 1, 1976 and Jedediah Roy joined the family on January 8, 1979. Barb and Danny made Middle River their home throughout their married life and even after their eventual divorce. They remained good friends which made life very ideal for Brianna and Jedediah to continue to be supported in all of their events at school, community and church as well as celebrating all special occasions with both extended families. Barb began teaching at Northland Community College in Thief River Falls, MN in 1976. While there she taught private voice, flute and guitar lessons. In 1990 Barb returned to Northland Community College as a long-term substitute music teacher for 1 year. 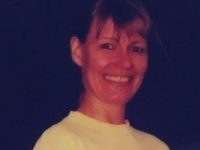 In 1983 Barb was hired as a K-12 music teacher at Badger School. Barb had a very unique gift of getting students involved in music by believing in them when many of them probably didn’t believe in themselves. As a result, the music program in the school thrived during her years there. Being a very present mother was important to Barb. It was because of this that she decided to put teaching on hold in 1990 as she was working in a different district than her kids were attending. She decided to begin another chapter of her life starting Grand Central Graphics and Grand Slam Designs. She traveled all over the United States selling her computerized embroidery designs. Most recently she was still digitizing for EmbroideryDesigns.com. She was very well respected in the Embroidery Design industry. As a result of this career change, she hired Laurie Stromsodt who was not only a very loyal employee, but became another one of Barb’s life-long friends. Finding another need in the community, along with friend KayDell Super, Barb started the Middle River Honker in 2007. This “labor of love” served the communities of Middle River, Viking, Newfolden, Holt, Strathcona, Gatzke, Greenbush and Badger. Barb enjoyed countless interviews and taking many pictures wherever she would go. In 2015, Barb began working with the students at Heritage Christian School in Karlstad, MN. Once again, Barb was in her “zone” teaching music and getting students to perform by believing whole-heartedly in them. She loved the opportunity to work with these great kids and she talked about her experiences there often with her family. She looked forward to preparing the students each year for their concerts and their contests. We are at peace knowing that Barb enjoyed one last impromptu concert from the students while she was in the hospital before she passed away. Barb received many awards in her lifetime for various talents, but was awarded the 2016 NW MN Arts Council’s Star Artist Award. In true Barb fashion, she made sure to step out of the spot light as she brought musical group True Colors with her to perform for the audience. I think it is safe to say that Barb had a giving heart. She served many different organizations in her lifetime. Some of them include MRTL LAH/BNP, NW MN Arts Council, North Country Horsemen Trails to Treatments, American Cancer Society Relay for Life, Flying V Cancer Fighters, Middle River Community Club, First Lutheran Church Council and was a member of the Middle River Ambulance Squad. 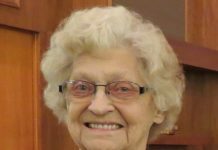 She has also logged countless hours playing piano and organ at First Lutheran Church, Middle River, MN. She was also a substitute pianist at St Joseph’s Catholic Church, Middle River, MN and part-time organist at United Methodist Church, Thief River Falls, MN. Barb has been a contributing member of the Middle River Goose Festival since its 1975 inception, working with the annual event every year in one way or other. She provided many unique and interesting floats throughout the years for the parade and also for her children in the kiddie parades. The crowd would always look forward to the Honker float for the past 12 years and its crazy ideas to fit the theme of the festival but always including music of some sort. She led the Skipper marching band as the director in the first Goose Fest in 1975 and this year the Skipper band was recreated by children and grandchildren with Barb once again blowing the whistle! She was chosen as Grand Marshal of the 2018 Goose Fest parade, honoring her for many years of outstanding community leadership. She also created a Goose Festival quilt for many years which was used as a fundraiser for the Goose Fest. Speaking of quilts….Barb created many quilts for family, friends, and organizations. Each quilt was masterfully designed to feature each individual and group. For people who only think of music when it comes to Barb, that is only the tip of the iceberg. She was blessed with an abundance of talent from painting, to sewing, to writing­­, and never backed away from a challenge. She and friend KayDell Super started the Miss Middle River Pageant for the first Goose Festival in 1975 and it continues still today, with offshoot pageants of Miss Marshall County and Miss North Star. She thrived on working with the contestants to develop their talents and confidence. Drama and theater where a huge part of Barb’s life. She worked extensively with the Middle River Community Theater and the Thief River Falls Community Arts Council. Her list of plays and musicals that she has acted in or directed is impressive. To sum it up there were 58 total: 32 with the Middle River Community Theater, 18 with the Thief River Falls Are Community Theater, 6 with Greenbush/Middle River High School and 2 Messiah sing-alongs. She used her amazing ability to get people on stage that probably never dreamed they could accomplish something like that. Barb organized and directed the Greater Middle River Community Choir for over 20 years. The group brought the Christmas story to hundreds of people each year, and the also shared the message of Easter a few times throughout their existence. The choir boasted members from Middle River, Newfolden, Holt, Badger, Thief River Falls, Strandquist and other area towns. One member, Tony Ricci (a life-long friend), traveled from the Minneapolis area for many years. Four generations of Barb’s family were members of this choir. Her mother, Lorraine, traveled from McIntosh, her daughter has been the accompanist, and three of her grandchildren (Chase, Malayna, and Zoey) also sang. Barb was proud of the money this group helped her raise each year for many worthy causes, most recently for TTT and MR Veteran’s Outdoors, Inc.
Barb loved to travel. Her goal was to see every continent. She was very close, only missing Africa. She used her music ability to take a few trips. She traveled to New Zealand and Australia in 1999 with the Northland Community College Band and to Prague, Vienna and Budapest in 2011 with the Brainerd Community Band. In January 2012 she checked off the continents of South America and Antarctica. Thankfully, Barb instilled her love of travel with her family. She took Brianna, Jed and Mae Geer to Spain for Christmas in 1994 to see their exchange student, Antia Rey Babarro and her family. This was one of many trips to Europe for her. This past year Barb fulfilled another dream by spending Easter in Spain with all her kids and grandkids, except Malayna, who presented her with her first great grandchild, Jordyn, on her return. She was so happy to share this with not only her kids this time, but also with 5 of her grandkids too. There are so many more things that come to mind when people think about Barb Geer. Some of them are: Hee Haw Middle River Style, Jesus Style Singers, True Colors, Heart Throbs, and Clowns. Without a doubt, there will be a void in Middle River and the surrounding area with Barb’s departure from earth. She was diagnosed with Stage IV cancer almost 5 years ago. She never let that keep her down. In fact, that was her time to decide to shift into overdrive. Her family thinks that this is one of the reasons that she was able to be so strong for so long. We owe it to her to pick things up where she left off to continue her legacy. She will be smiling down watching us as we do this. Barb is survived by her 2 children: Brianna Geer of Middle River, MN; and Jedediah (Nicole) Geer of Bismarck, ND: Mother Lorraine Rustad of McIntosh, MN: siblings; Diane (Dennis) Boucher of McIntosh, MN; Beverly (Jeff) Kappenman of Madison, AL; and Kevin (Gidget) Rustad of Pengilly, MN: Grandchildren; Malayna (Terence) Timm, Sherman Geer and Zoey Helm; Chase, Karissa and Adria Geer: Great-granddaughter; Jordyn Timm; Foreign-exchange student children: Antía Rey Babarro, Matthias Neumann and Anna Martins Felix: and many nieces, nephews, other relatives, friends and students. She is preceded in death by her father, Sherman; Daughter, Sarah Mae Geer; Mother-in-law Mae Geer; Ex-husband and friend Danny Geer; Nieces: Caren Hunter and Cassandra Anderson; and Nephew, Dustin Black.